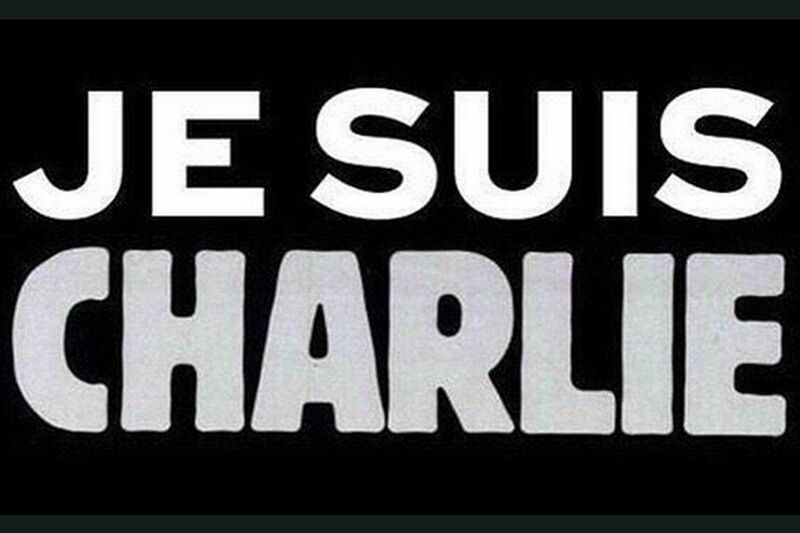 Dedicated to Charlie Hebdo: In honor of those who died for the principle of free speech. I couldn’t declare my admiration to the Jewish people publicly when I lived under Saddam Hussein in Iraq. I couldn’t write this before. I am writing it now. I was a victim and fully understand the psychological pressure – and the fear – of speaking our beliefs and thoughts. I remember some moments from my past vividly. Especially those that have served as turning points – where the past and the future intersect. Where the way I was gives way – to the way I will be from that instant forward. And this will strike many people as odd, even hard to believe, but for me one of those moments was the first time I ever saw a Jewish person, face to face. Someone who was raised, for instance – near Chicago, would wonder how that could possibly have been significant. But for someone like me, who grew up in the Middle East, and was subjected to years and years of Arab-Israeli propaganda – from before I can remember, until I left at the age of seventeen – it has all the significance in the world. I went on “I’ve been thinking about writing a piece describing the first time I did. And I was just wondering… I’m not sure about it. Anyway, tell me about your story and I tell you mine”, I said. When he first arrived in America he was working at a gas station. Right next to it, there was a banquet hall and the daughter of the owner used to stop in the gas station to buy the usual things. After seeing her a few times, they started to make some small talk, and shortly after that they were flirting with each other. Then she happened to mention she was a Jewish. “Yea…Yea…” I answered “I remember that, and every time Rafaat opened the door…There was that dramatic music like something very important was about to happen… tarara-rarara… rana-tarara” (I was recalling the theme music). We both laughed. Egyptian movies and soap operas are famous in the Arab world. Rafaat al-Hagan was a very well-known TV show – played by an Egyptian actor: Mahmoud Abdel Aziz. I didn’t see it this way at the time, but it was definitely part of the propaganda in Iraq – still, it was a good show. It’s based on a true story about a spy whose name is Ali Suleiman al-Gammal, better known as Rafaat al-Hagan in Egypt – and as Jack Beton in Israel. He spent 17 years working clandestine operations in Israel. Egyptians idolize him. “It was in Amsterdam when I saw them,” I told him. “I was 17 years old. We had just left Jordan on the way to America. We had a stop for about six hours at Schiphol Airport. We were sitting in the transit area waiting for our plane. I spotted three Jewish people praying. I literally froze in place for a few minutes looking at them. I was mesmerized. It hit me. It really hit me. It was a moment when I realized how brainwashed I was. I felt all the hatred put in our brain through the media…day after day…for all those years…since childhood. My conversation with Mohammed ended with the two of us looking at each other and wondering why, but then just walking away – without any answers. As it happens, I had done my time working at a gas station too. I worked at a Marathon in Chicago. There, I met a Jewish man who was born in Iraq. I couldn’t wait to ask him about his past. I’ll never forget his face and the way he talked about his childhood. His eyes started to tear up remembering his family house in Baghdad. That conversation too, was followed by the same shaking of the head, with no way to really explain it or understand it. Just trailing off in sadness and sorrow. Iraq has a rich history of Jewish presence. Their positive influence remains alive in the memory of many in the older generations. For example, a Jewish man named Sassoon Eskell played a major role in the creation of Iraq and was the first finance minister who forced the British Petroleum company to pay for Iraqi oil in Gold Pounds. Think about the influence of the Jewish people and their contributions to humanity. John Von Neumann was Jewish, and considered the father of programming. Andrew Grove developed Intel that gave birth to home computers – another Jewish guy. It was two Jews who gave us the revered Google that we can no longer live without. Facebook too, was created by a Jew. My favorite psychologist Daniel Kahneman is Jewish. James Altucher, my favorite entrepreneur and bestselling author – also Jewish. And of course Jerry Seinfeld, my favorite comedian, who has made millions laugh – and continues to. Did I mention Albert Einstein? A great book about human suffering called “Man’s Search for Meaning”, was written by a Jewish man named Viktor E. Frankl who survived the Nazi Death camps. I wish it was translated into Arabic, and distributed to those Iraqis who have recently been displaced by ISIS and are now suffering. During Saddam’s time, unfortunately, books that sympathized in any way with a Jewish perspective were forbidden, by law, from being translated. That’s right – books were banned. Books!! Take a look back at history on policies like that – it’s never a good sign. In that time, the Iraqi educational system marginalized the history of the Jewish people in Iraq by completely removing the Jewish history from the school books. The Jewish influence and their contribution to Iraq was not only ignored, it was covered up. As time passes, I believe the loss of the Jews from Iraq will prove a significant burden on that country. And with the region drifting towards an apparent Christian exodus, it seems to me that Iraq will have a second blight over the land. Or maybe it’s more correct to call it a third, because the brain drain that Iraq has had to endure, due to intellectuals and artists being unwilling to continue living under those conditions, has drastically altered its path. Twenty years after seeing that Jewish family praying in the airport, it still baffles me when I compare the past and present. When things like brainwashing and prejudice are suddenly held up to the light of day, and revealed for what they are – there is no going back. I wonder if Iraq had not displaced the Jewish community, how could that have changed the course of Iraq’s history?